According to Automotive News, the long-forgotten Lincoln Navigator is about to obtain the 3.5 litre V6 EcoBoost engine for the 2012 model year. It remains unclear whether the large SUV will boast more power and torque but the regular V6 EcoBoost produces 365bhp (370PS/272kW) and 569Nm (420lb-ft) of torque. 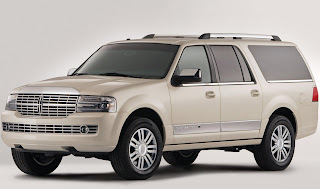 Ford is also expected to update the Navigator with minor styling alterations.